The announcement of my Edgar award as a Grand Master from the Mystery Writers of America has garnered congratulations and praise from all over the place. I’ve taken to posting a link to these updates on Facebook and that’s increased the activity. First, I’m very grateful. It’s particularly fun or, in Facebook terms, to be “liked” (you like me, you really really like me) by old friends, some of whom I haven’t heard from in decades. The world at once seems bigger and smaller. Second, I’m a little embarrassed. These updates have become more and more confessional. Originally I only wrote an update once or twice a year. My son Nate, who runs this website, said that was not enough – the only way to encourage traffic was with regular content. So I went weekly, and for some time all I did was talk about books that had recently become available and share links to reviews (I still do that, obviously). Then Nate encouraged me to do updates that gave a behind-the-scenes look at the writing process and what it’s like to be a freelance writer. People seemed to like hearing about such things, but gradually more personal stuff got into the mix – the major one being my health issues. I didn’t post anything till the day I was set to take my first heart surgery (we had been going through hell for five months prior and I hadn’t made a peep about it here), and what I wrote wasn’t intended to appear till the day I was in surgery. Then the surgery was postponed, and a second, preliminary surgery scheduled, and suddenly everybody knew about what was going on with my health. As I say, that wasn’t my intention. But I would be lying if I didn’t admit that all the good wishes, which included prayers, didn’t give me a real boost. In the subsequent lung surgery, I found that support similarly spirit-lifting. And I thank you, too, for the congratulations about the Grand Master award, which won’t be presented till next April, by the way. This is even more embarrassing than courting good wishes for health reasons, as it falls into the “rah yay me” category. Throughout my career – and I will be painfully honest here – I longed for, even dreamed of, receiving an Edgar from the MWA. I have been ridiculously well-honored by the Private Eye Writers of America, also by the Iowa Motion Picture Association; even won an Anthony from Bouchercon, and an award from the Edgar Rice Burroughs bibliophile group. “Barbara Allan” won a major award, too (not a leg lamp, though). But the Edgar, despite half a dozen nominations, has remained elusive. When I see the array of trophies and plaques, which reflect not only achievement but my own needy efforts to land them – you have to enter many of these competitions to win them – I am a little embarrassed. I obviously need validation. Like most people with big egos, I have self-doubts that are even bigger. What’s really, really nice about the Grand Master is that you don’t enter to try to win it. A group of your peers just agrees that you should get it. That feels really good. And the company I’m in includes many of my favorite writers as well as others I admire. For example, Agatha Christie; Rex Stout; Ellery Queen; Erle Stanley Gardner; James M. Cain; John D. MacDonald; Alfred Hitchcock; Ross Macdonald; Graham Greene; Daphne Du Marier; Dorothy B. Hughes; W.R. Burnett; John Le Carre; Ed McBain; Elmore Leonard; Donald E. Westlake; Lawrence Block; Sara Paretsky; Sue Grafton; Stephen King; and Mickey Spillane. That’s just the ones that were influential in my writing life. Two (Westlake and Spillane) were mentors. I omit names of stellar types whose work I am not familiar with, and a handful whose work I dislike (here’s a hint – Angel in Black is a response to one). I am notorious for not reading much contemporary crime fiction. My glib reason is that contemporary writers in the genre fall into three areas: (A) not as good as I am, so why bother reading ‘em; (B) as good as I am, so why bother reading them, either; and (C) better than I am, and screw those guys, anyway. The real reasons I don’t read my contemporaries much are less smart-alecky. First, I am a natural mimic and I tend to pick up the style and habits of other fiction writers. I discovered this writing Blood Money (my second published book) while reading The Friends of Eddie Coyle by George V. Higgins. That writer, a very good one, wrote such distinctive dialogue that I could not shake the cadence of it. Some of it is still in that book. Second, much of what I write is historical, and that requires a lot of research reading. So what reading I do falls largely into that category. And my pleasure reading tends to be non-fiction, too. Again, reading fiction is dangerous for me. That’s not to say I don’t read some. I re-read my favorite authors (many of them in my Grand Master list above) and, if I’m on a committee for the MWA or PWA, I read the works submitted for award consideration. Plus, I have friends in the field whose work I often read. Also, if somebody gets really, really popular, I check them out. That’s how I came to read some Robert B. Parker, for example, whose work I don’t care for but whose impact on the field I greatly respect. He won the Grand Master, too. This week past the third Caleb York, The Bloody Spur, was shipped to Kensington. In addition, I did final corrections and tweaks on the proofs of The Will to Kill for Titan (Mike Hammer) and Executive Order for Thomas & Mercer (Reeder & Rogers). The proofs of Antiques Frame await. The Grand Master news was all over the Net, but in some cases it was more than just a regurgitation of the MWA news release. This, from Mysterious Press, for example, includes ordering info on the Mike Hammer collection, A Long Time Dead. Brash Books, who published the complete Road to Perdition novel recently, did their own write-up as well. Here’s a brief discussion of the use of history in Quarry in the Black. My old pal Jan Grape talks about how authors deal with errors in books, leading off with an anecdote that shows me in a perhaps unflattering (but highly accurate) light. Here’s a brief Quarry TV write-up, with a deleted scene that I (partially) wrote. The Quarry show makes this Best list. And here’s a really great review of the finale episode of Quarry, with a look back at the entire world of the series. 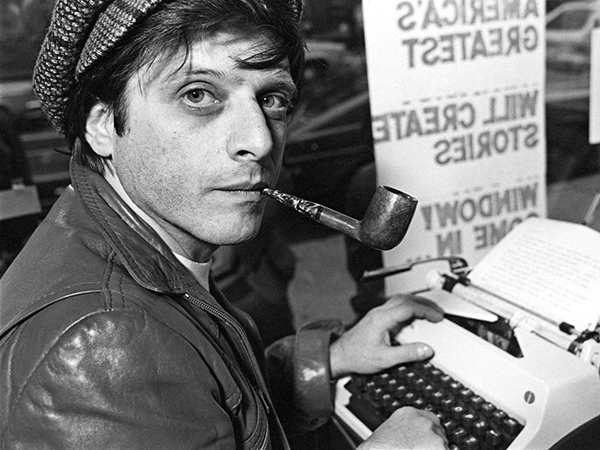 How bizarre it seems – in a sense, it hasn’t registered – that the novel I began at the University of Iowa’s Writers Workshop in late 1971 has spawned a 2016 TV series. My instructor, William Price Fox, didn’t like it. Most of the class didn’t, either. But several smart people thought the first two chapters of QUARRY were the best thing they’d ever read in a Workshop class. Fox, a writer I admired, was spotty as a teacher. He shared some good stories about his Hollywood perils, but he also spent several classes reading his own stuff to us. The class was only two hours once a week, and I had to drive from Muscatine (forty miles) to attend. I thought then that Fox reading his own work was lazy and self-indulgent, and I still do. But he did teach me the “Indian behind a tree” concept (ask me sometime). A week or so after my Workshop class with its mixed reviews of QUARRY’s first two chapters, I sold my first novel, BAIT MONEY, and, a couple of weeks later, I sold the second one, NO CURE FOR DEATH. Both were written at the Workshop when Richard Yates was my teacher and mentor – a great writer and a great guy. The NYC editor wanted sequels to both, so I put QUARRY aside (probably a third of it written) and proceeded with THE BABY BLUE RIP-OFF and BLOOD MONEY. I had graduated in early ‘72 by then. Then I got back to QUARRY, probably in ‘74, and it sold in ‘75 and was finally published in ‘76 (initially published as THE BROKER). How vividly I remember sitting in my office in our apartment in downtown Muscatine (over a beauty shop – the smells wafting up were not heavenly) and pounding away at those early books. I thought QUARRY was the best thing I’d come up with, as the Nolan books were glorified Richard Stark pastiches and Mallory was just me filtering my private eye jones through an amateur detective. QUARRY was something original. I was going places! This would, in a good way, leave a mark. And at first it seemed it would. The editor wanted three more novels about the character, and of course I eagerly complied. By the fourth book, two things were obvious – QUARRY was not setting the world on fire, and I was having trouble keeping the black-comedy element from spinning out of control. THE SLASHER seemed to me over-the-top, or anyway a subsequent novel would have been. That doesn’t mean I wasn’t disappointed that no more books were requested by the editor. But the QUARRY series seemed, at four entries, to be complete. I was going places, all right – back to the typewriter to try again. But a funny thing happened on the way to obscurity – a small cult of interest arose in QUARRY. Smart people like Jon Breen, Ed Gorman and Bill Crider said nice things about the books. The series started getting fan letters. So when I had some success with the Nate Heller novels, I decided to do just one more QUARRY – and I did, PRIMARY TARGET (since re-pubbed as QUARRY’S VOTE). The book was well-received, but that was the end of it. 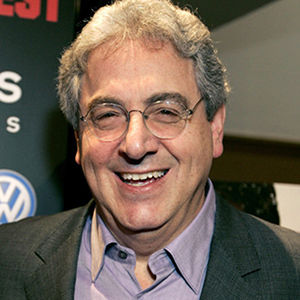 The end of it, anyway, till the new millennium dawned and a young filmmaker named Jeffrey Goodman came knocking, and a new publisher/editor named Charles Ardai got in touch. From Goodman’s enthusiasm for the QUARRY short story, “A Matter of Principal,” came an award-winning short film written by me, and then a feature-length version co-written by me, THE LAST LULLABY. More or less simultaneously, Ardai asked me to do a QUARRY novel for his new retro-noir line, and I jumped at the chance to give the series a real ending – THE LAST QUARRY, a novelization of my version of the screenplay of the Goodman feature. “I wouldn’t mind you doing another QUARRY for us,” he said. 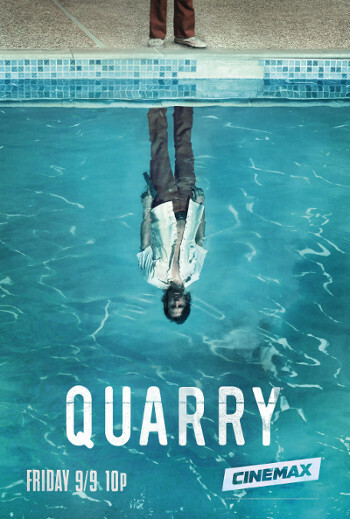 Now we’re at eleven novels – QUARRY IN THE BLACK next month – and, after a somewhat rough birth going back to 2012, the QUARRY TV series will debut on Cinemax this Friday, at 9 pm Central time. I’ve seen all eight episodes and they are excellent. 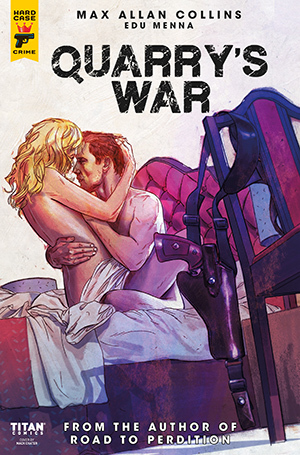 It’s essentially an extended origin story of how returning Marine Mac Conway (the character’s real name, according to the show anyway) becomes hitman Quarry. 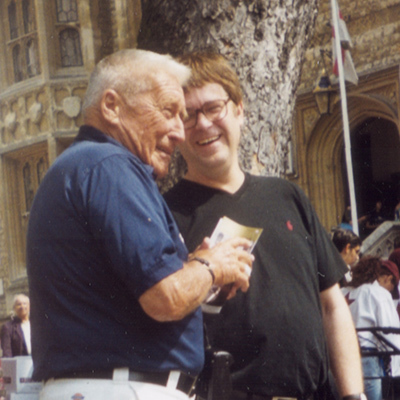 Michael Fuller and Graham Gordy, the creators of the series, initially did not reveal the character’s “real name,” but it became clumsy for the lead character not to have, well, a name. They dubbed him “Mac” after me – M.A.C. Nice gesture. And they were smart enough to set the show in the early ‘70s. It’s a nice fit with my current approach, which is to do my new QUARRY novels in ‘70s/‘80s period. You know you are old when a series you began as contemporary is now historical. So I hope you like the TV series. If you don’t, and are a fan of the books, pretend to, will you? If the show becomes a hit, I may get to write more QUARRY novels. 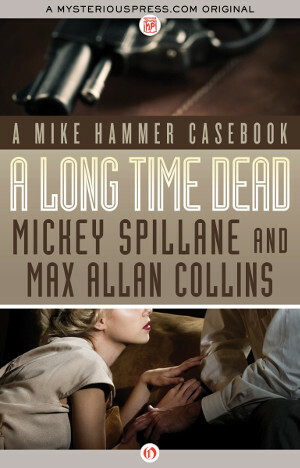 Also this week, the Mike Hammer short story collection, A LONG TIME DEAD, will become available in print and e-book editions from Mysterious Press. This is an exciting project for me, as it represents the first collection of Hammer stories, and possibly the last, since I have exhausted the shorter fragments in the Spillane files. My sincere thanks to Otto Penzler for publishing it. Otto, who edited and published the first three posthumous Hammer novels, has been a great friend to Mickey, Mike Hammer and me. The advance reviews for the QUARRY TV show are strong, like this one. Here QUARRY is seen as one of the nine best shows of the fall season. And here it’s seen as one of the ten best shows. You’ll enjoy this interview with Michael Fuller, half of the creative team behind the writing of the QUARRY series. Here’s a nice write-up on the forthcoming QUARRY comics mini-series. Check out this terrific review of the Hammer novel, MURDER NEVER KNOCKS. And, finally, here’s a positive review from Kirkus, of all people, for A LONG TIME DEAD.